Again from FORM Athletics, comes the Joseph Benavidez WEC 52 Walkout T-Shirt. FORM Athletics with its fresh new designs has came out with the WEC 52 Walkout Shirt for Joseph Benavidez. This 100% cotton athletic-fit shirt features an Amp Energy on the front, as long as very subtle detailing with the FORM Athletics/Joseph Benavidez concept art logo pattern via black on black print. Pretty cool if you ask me. Make sure you also check out the FORM Athletics Joseph Benavidez WEC 52 Fight Shorts if you want the matching outfit. 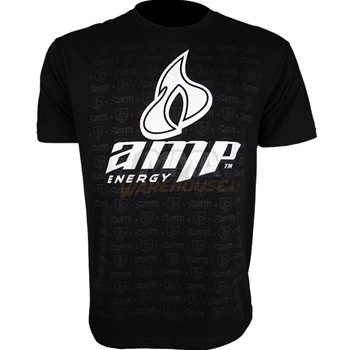 This WEC 52 walkout shirt goes for $29.99 at MMAWarehouse.